The Latvian Final was held on February 22nd at the Juras Varti Theatre House in Ventspils, hosted by Eriks Loks, Lauris Busulis, Nauris Brikmanis & Madara Botmane. Before the final there were two semi-finals - click here for details: LATVIAN SEMI-FINALS 2014 The winner was chosen in two rounds of voting - firstly to select the top 3 and then to select the winner. The voting in both rounds was a mixture of televoting/internet voting (50%) and an "expert" jury (50%), however the internet voting had to be discounted in the 1st round of voting due to server overload. Points were awarded in terms of placings (1st place = 1 point etc), therefore the 3 lowest scoring songs progressed to the second round where the lowest scoring song was chosen as the winner. As there was a tie at the end of the voting, the televoting/internet voting (which Aarzemnieki won) took precedence. 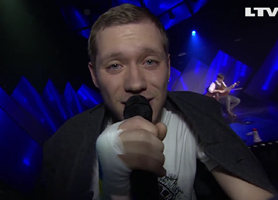 The lead singer of Aarzemnieki - Joran Steinhauer - previously took part in the 2008 Latvian Semi-Finals. At the 1st ESC Semi-Final Aarzemnieki came 13th. 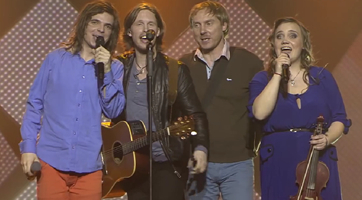 Ralfs Eilands represented Latvia in ESC 2013 in the group PeR.